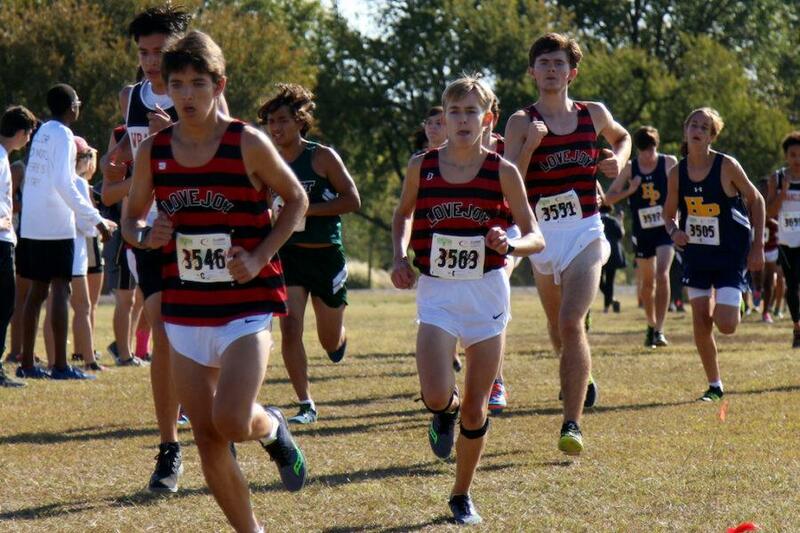 Junior Michael O'Brien and Sophomore Blake Hinton in the first leg of the district meet. 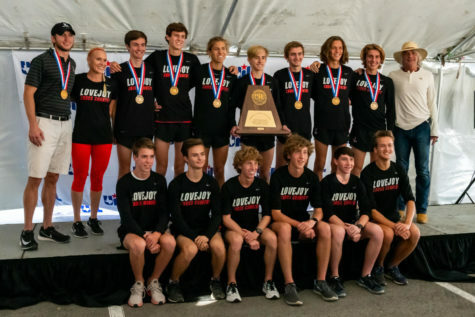 Looking to repeat as state champions, the boys cross country will travel down to Round Rock to compete in the 5A state meet on Saturday morning. 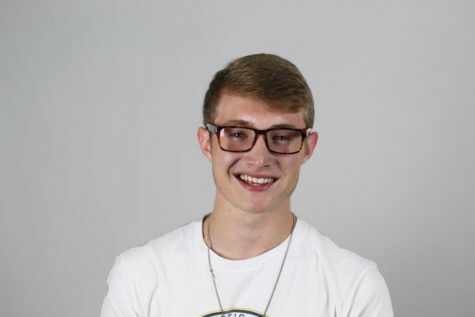 “The opportunity for the team to repeat at state is very exciting and we have continued to put in the hard work at practice to stay mentally focused so that we can hopefully get gold,” sophomore Brady Laboret said. 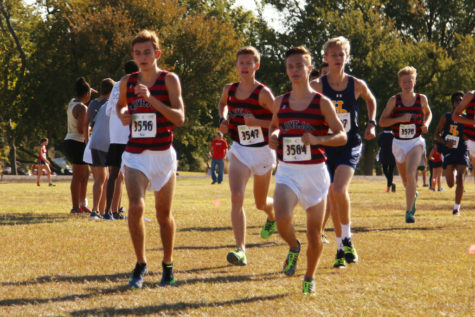 In last year’s state meet, the boys took first with a total of 59 points. 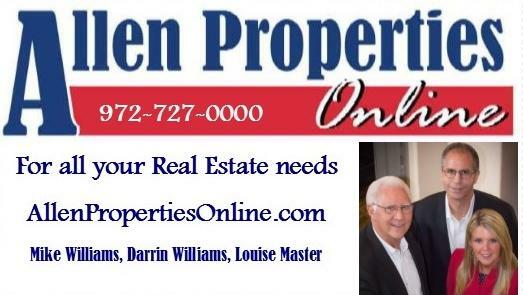 Second place Donna North came in at 103, and Grapevine finished at third place overall with a score of 139. 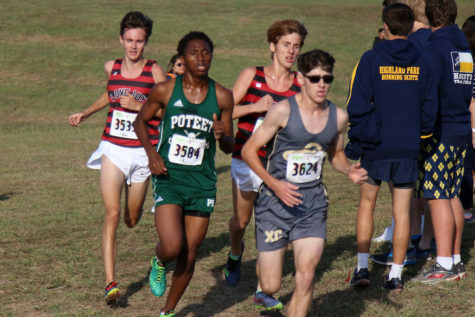 For sophomore Will Muirhead, this will be his first time actually competing in the state meet as last year he was a reserve. 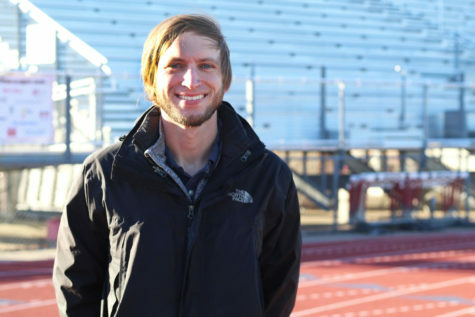 This year, the Leopards’ biggest worry will be Grapevine again and Canyon High School. 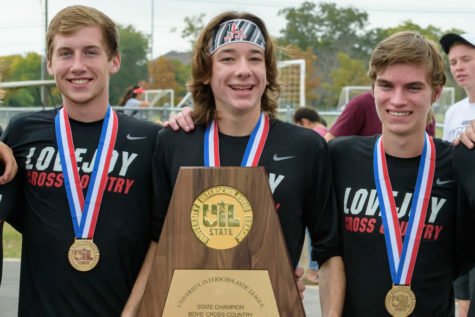 Last season, the Leopards’ returning top runners were Laboret, junior Brett Pedersen, and senior Ryan Brands. 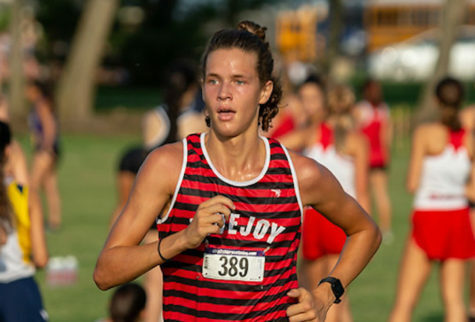 Muirhead will look to stamp his name among the best in state this year along with either sophomore Whitson Bedell or senior William Godfrey, as only seven members can run. 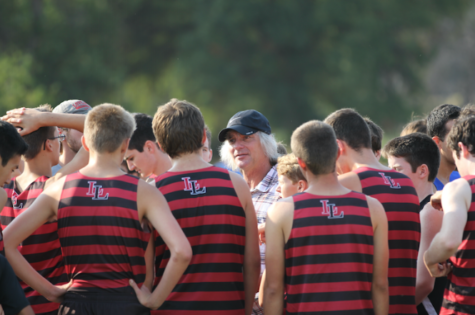 If the team wins state, the Leopards will move on and compete in the Nike South regional championship on Nov. 18 for a chance to go to nationals.